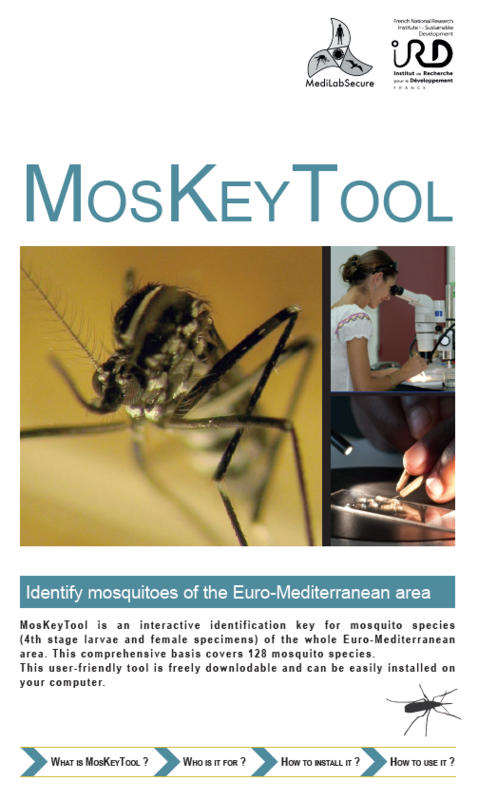 The MosKeyTool is intended to help people, who are entomologists or not, to identify the species of a mosquito specimen. 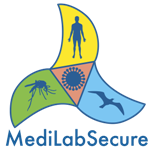 It is an identification tool which has been developed by the medical entomology working group (WP4) of MediLabSecure in 2017. This novel interactive key includes 132 mosquito species in 70 countries (Euro-Mediterranean, Black Sea and Western Palaearctic Regions) and can be easily installed on your computer. How to install MosKeyTool ? * Help for installation on Mac. "F. Gunay, M. Picard, V. Robert -MosKeyTool Version 2.1(2018) ; last update: 01/08/2018." folder " images" file "[name of the database].xpd"
file "[name of the database].xpx"
file "[name of the database].xpw"
file "[name of the database].xpr"
Go to File -> Open a Database and select the file “[name of the database].xpd"
How to use MosKeyTool ? Tutorial to use MosKeyTool from MediLabSecure on Vimeo. The MosKeyTool is intended to help people, which are entomologists or not, to identify the species of a mosquito specimen. This user-friendly interface integrates two categories of criteria: morphological (the specimen observation) and geographical (the provenance country of the specimen). The MosKeyTool targets are two stages: adult female and 4th stage larva. It may also keep going with male and larva of stages <4 with lower level of confidence. The reference area of MosKeyTool is the western palearctic biogeographic region, including Europe, Atlantic and Mediterranean Islands, Northern Africa, South Caucasus and part of the Middle-East. Most of the time, the countries are used as geographical unit. However the main islands or isolated archipelago are also used as geographic unit. 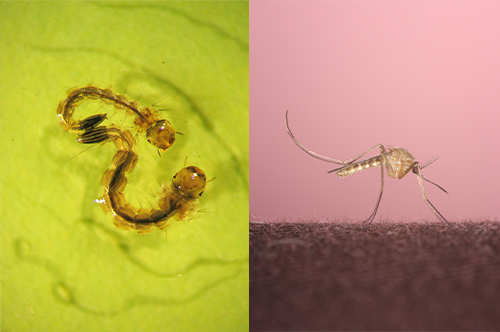 MosKeyTool can be used as supporting material for (self)-learning and also for teaching the morphology, taxonomy and systematic of mosquitoes (Diptera: Culicidae). If you have relevant information concerning taxonomy and new presence/absence per country, please, be kind enough to share it with Filiz Gunay and Vincent Robert at moskeytool@gmail.com, and so we will be able to update periodically the MosKeyTool.